For the last show of 2015, Dmae brings back profiles of West African guitarist and singer Parfait Bassale, Bhutanese poet Dilip Sunar with interpreter Suprina Koirala and the Tongan Sewing Circle led by Kato Kakala Kavapalu and Kolini Fusitua. 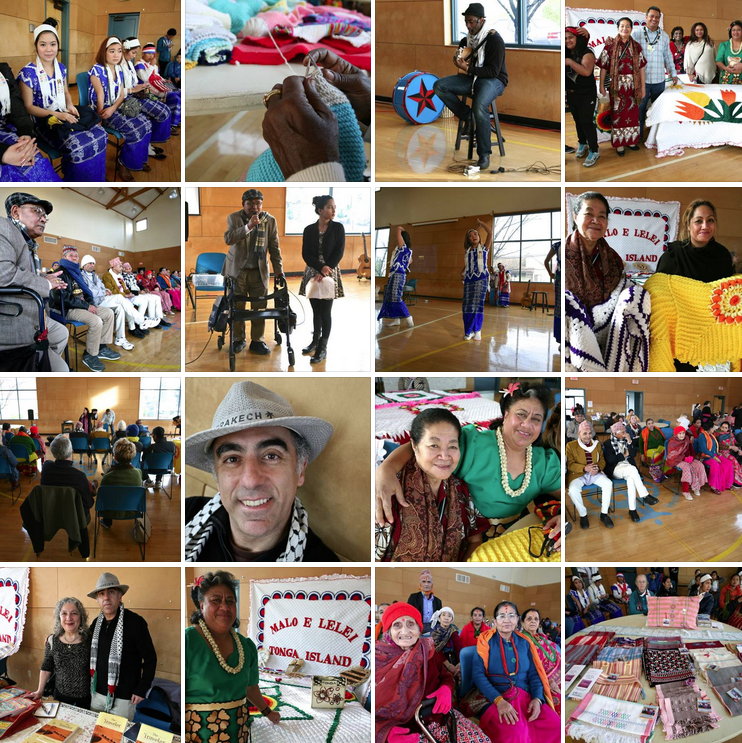 All were featured in Dmae’s special yearlong project Migrations which features immigrant and refugee artists. Join Dmae in this end of the year inpsiring celebration of the contributions of artists originally from far away lands who have made Portland their home. Parfait Bassale was originally from West Africa, Bassale weaves joyous guitar melodies with his intricate vocals. He often sings about his experiences and introspections of immigrant dreams and daily life. Bassale performs live and debuts some of his new songs on the EP. He also tells about the Columbe Project, his peace education program for youth. Parfait Bassale was born in Benin in April 1981. Because his father worked for an overseas company, Parfait Bassale had migrated throughout West Africa by age 13. Among his experiences were the ostracism of being labelled a “foreigner” and the challenges of language barriers, cultural differences, and integration. As a teenager, he began using rhymes and rap music to express his frustration with society. Music became his tool for protest. Since then, his music continued to evolve. At 24, after moving to the U.S.A., he picked up a guitar and began writing songs to process and document his experience. Hear his music at http://parfaitonline.com/. Dilip Sunar is a poet and a Bhutanese refugee from Nepal. Sunar along with his wife and eight children were one of a hundred thousand Bhutanese who were forced to leave Bhutan because they had a different language and culture. The Nepali-Bhutanese had been there for generations but had to take refuge in Nepal, losing their lands and property. Sunar and his family lived in little shacks without running water or much medical care until 2009. He still has difficulty walking from a broken hip that hasn’t healed right. Sunar will be reading his poetry with interpreter Suprina Koirala. About 2,500 Bhutanese refugees currently live in Oregon. The king of Bhutan imposed the Citizenship Act of 1985, which enforced a single national culture. It required Bhutanese who were culturally Nepalese to change their clothing and cultural traditions. The government also tightened its citizenship laws. As a result, Bhutanese people of Nepalese ethnicity — many of whom had lived there for several generations — were declared illegal immigrants. Nearly one-sixth of the population, or about 100,000 people, were expelled and ended up in refugee camps. 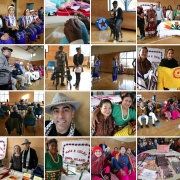 Find out more about the Bhutanese and all refugee communities in Portland at (IRCO) the Immigrant and Refugee Community of Oregon at http://irco.org/.